This week the world of F1 turns it’s eyes to Hungary for the latest instalment of what seems to be Mercedes cruise to the constructor’s title. More interesting is the continuing battle for the driver’s title between the two Mercedes pilots after Nico Rosberg’s romp to victory at his home Grand Prix last week, and Lewis Hamilton’s surge through the field from starting at the back of the grid to claim 3rd place despite a contretemps with his erstwhile team mate, Jenson Button. Indeed, if it had not been for the damage that he incurred during that coming together, he may well have gained second place as he caught, but could not pass, the Williams of Valtteri Bottas. Hamilton will need to start winning races in which both he and Rosberg finish, and the best way of doing that is to qualify in pole and get the jump to the first corner. Historically a great qualifier, Hamilton will need to turn around some relatively sketchy qualifying sessions during the summer portion of this year’s F1 calendar. Certainly his practice pace has been top drawer this weekend so far. Williams will look to continue to build on impressive mid season results, particularly Bottas’ aforementioned podium from last week and are desperate to win a race this year – sooner rather than later. Susie Wolff impressed in German practice last week but has since come out to say it might be tough for her to find a race seat in the future. This begs the question whether her outing was tokenism or a genuine effort to get a regular female driver in an F1 car. Surely in the days of ‘sponsored drives’ there are businesses out there looking to cash in the hype that would surround the first female F1 driver of this generation? Red Bull’s recent progress seemed to stall last week and both drivers will want to ensure they don’t lose the little momentum they had started to build. Sebastian Vettel has been so quiet this year that he will be hoping to show his undoubted class soon, rather than continuing to play second fiddle to young turk, Ricciardo. With just a week having gone since the last race in Germany, this weekend the Grand Prix competition roars back into life in Hungary. 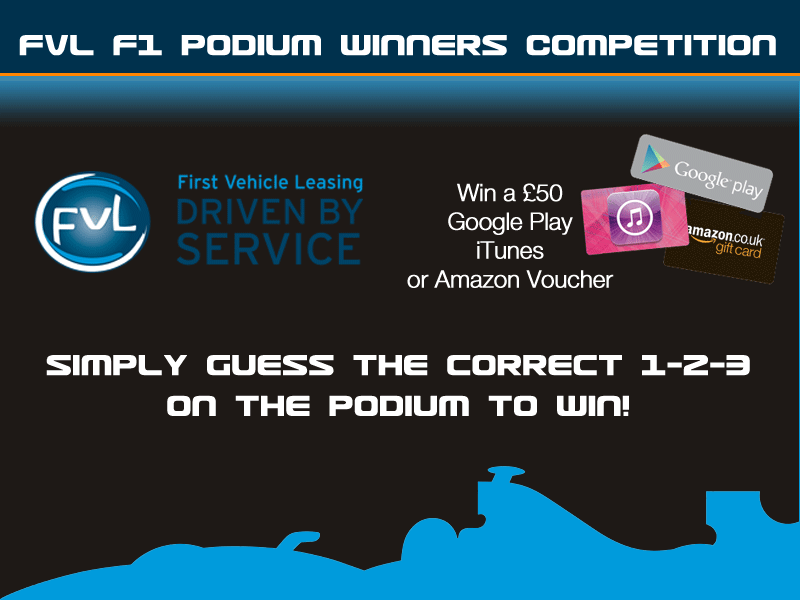 As with every Grand Prix this year, you can enter our FVL F1 Podium Winners Competition to win £50 of vouchers if you correctly guess the podium. Click here to enter by adding your prediction – full terms and conditions here. 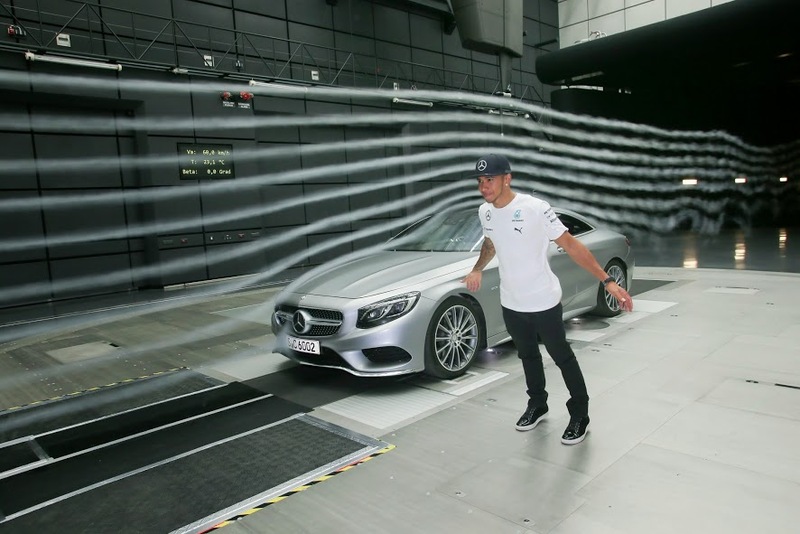 This entry was posted in Formula 1, News and Views, Sports Car and tagged #f1fvl, F1, formula 1, formula one, Formula One Driver by Andrew Watson. Bookmark the permalink. Andy Watson is Business Development Manager at First Vehicle Leasing. He has worked with the company for over ten years, and is a keen golfer and Formula 1 fan.